If you don't know about The Bash, or you missed seeing the last one, go here. Seventy four bloggers linked up to share absolutely beautiful blue and white everything. 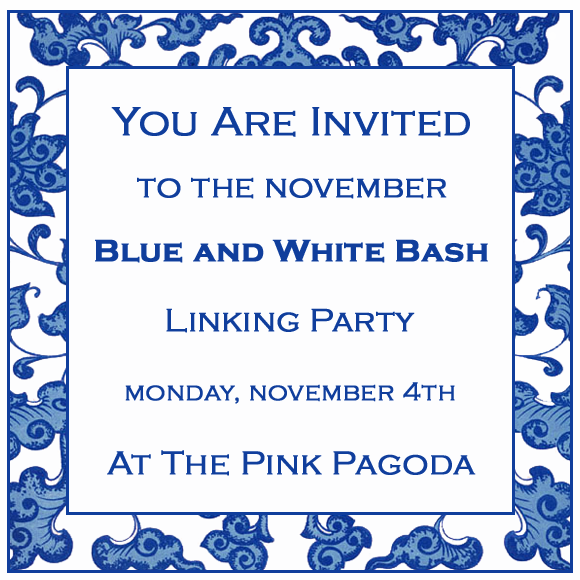 The Blue and White Bash is a linking party for anyone who has a blue and white post you'd like to share. It can be about interiors, porcelain, the table, apparel, fabric, wallpaper, etc. All you need to join me is a post on blue and white. Copy the URL of your post before coming over to TPP. Click on the widget and there will be directions that couldn't be easier. I very much hope to see you here on Monday!